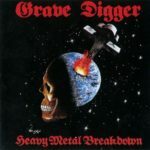 Following on from the example laid down by Motörhead, Saxon and above all, Accept, Germany’s Grave Digger helped to carry the torch of fast and loud heavy metal with their 1984 debut ‘Heavy Metal Breakdown’. As an album and indeed a band, Grave Digger have been consistently overlooked with the band never receiving the plaudits that they deserve. ‘Heavy Metal Breakdown’ is an absolute gem of an album that shows the band young, hungry and ready to take on the world. Due to this, the album is also warts and all, it shows many of the mistakes that a young band can make and also get away with. For example, during ‘Heart Attack’, these manifest themselves in the form of the band struggling to keep the correct tempo between guitar and drums. However, this makes ‘Heavy Metal Breakdown’ not without its charm and these would be issues become part of the very fabric of the album which make the music as a whole exceptionally enjoyable. To judge this album entirely on this would be extremely pedantic and an injustice to Grave Digger. ‘Heavy Metal Breakdown’ has a youthful energy and each tracks ebbs and flows along with ease, tracks such as ‘Headbanging Man’, ‘Back From the War’, the title track and the Rolling Stones cover ‘2000 Light Years From Home’ all allow the band to keep pace with established veterans such as fellow German trailblazers Accept, a band that is certainly alluded to in a homage during the guitar riff for the title track being a variation of ‘Flash Rockin’ Man’, whilst the intro to ‘Legion of the Lost’ has all the hallmarks of early Judas Priest. Unfortunately, the main issue with ‘Heavy Metal Breakdown’ is the same problem which plagues most debut albums on a small label and that is the production. 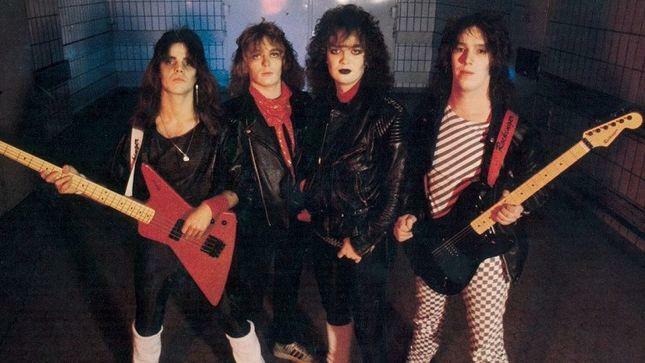 The production given to the band by Noise Records is not the greatest, being relatively one dimensional and suffers the same sonically flat sound also give to the likes of Running Wild, Helloween and Rage. All this however, plays directly into the hands of Grave Digger, ‘Heavy Metal Breakdown’ has that youthful vigour that only a band of this age can grasp, it gives the album that quasi-live feel of a band with intent, where the band was heading and a band still finding its feet. 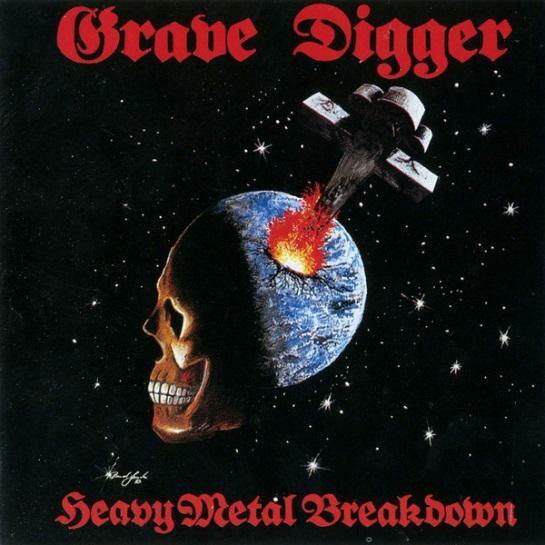 Although this was the case, ‘Heavy Metal Breakdown’ remains one of the best releases by Grave Digger.